So, what is Six Sigma, and why it's so popular? Six Sigma is a business management strategy that provides quality management methods, which go from business and cost-benefit analysis, thought-process mapping customer surveys, to control charts and regression analysis. Six Sigma puts on measurements as the starting point of culture change and decision making processes, which is what makes it different from other business models. 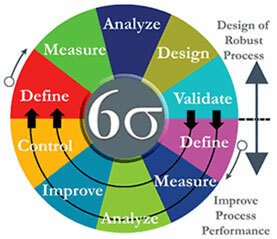 The Six Sigma method has had great success and is widely used by all types of organizations. Demand for Six Sigma Green Belt and Black Belt certifications has increased dramatically at Firebrand Training especially with the combination of the Green Belt and Black Belt, which will get you both the certifications in just 10 days.